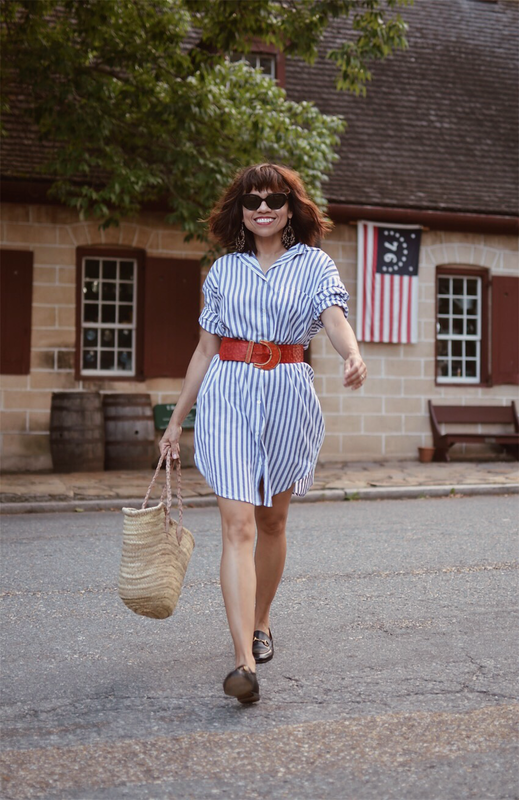 I've always believed that there is a perfect shirtdress for every woman and every woman should own at least one. 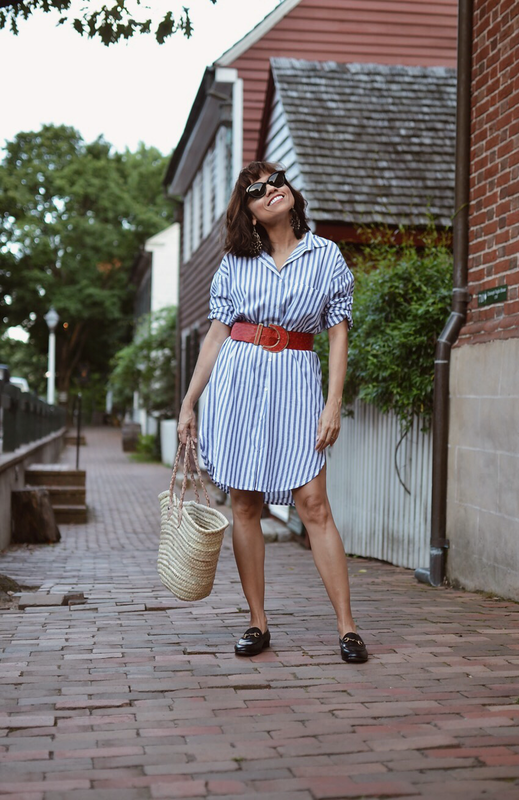 The shirtdress is the perfect extension of a men's shirt because is chic enough to take you everywhere, from the office to drinks with your friends. On weekends, it can be styled with your favorite casual shoes and light jewelry. 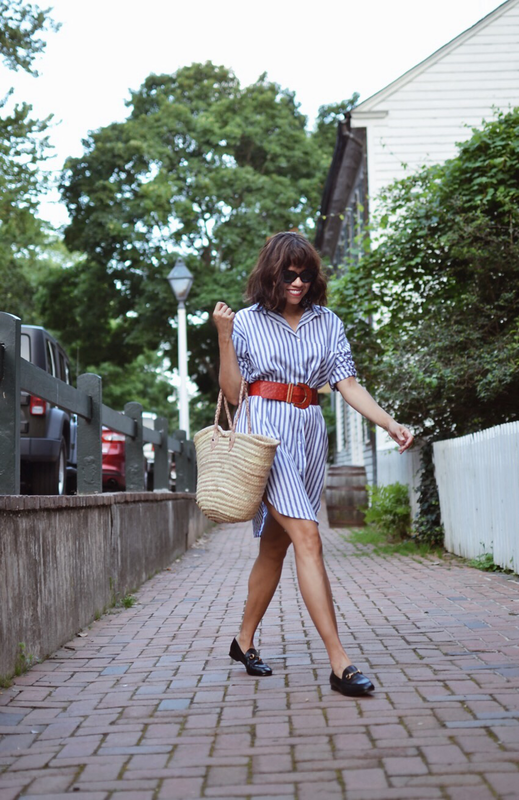 If you ask me, the shirtdress is the perfect dress to have when you want to feel casual and yet polished. 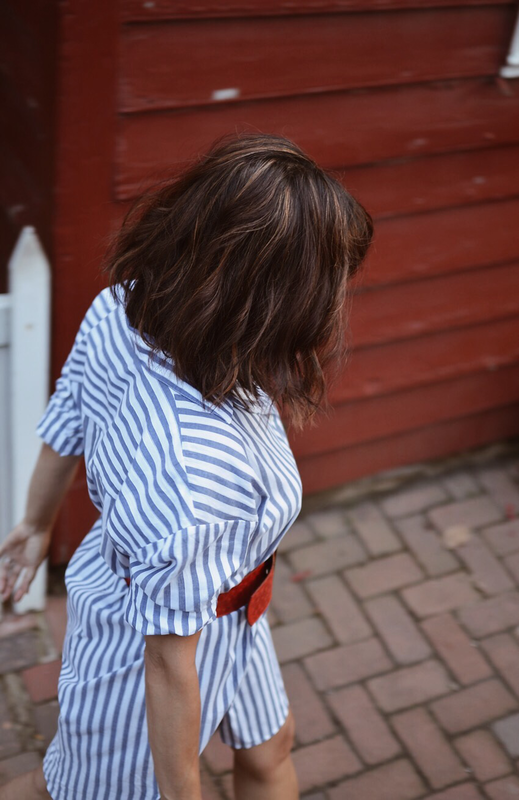 I love my denim shirtdress, even though I've lost some weight since I bought it. I still can make it work with the right belt, see, another fact about this foundational garment! They are adaptable, therefore, fun to wear. 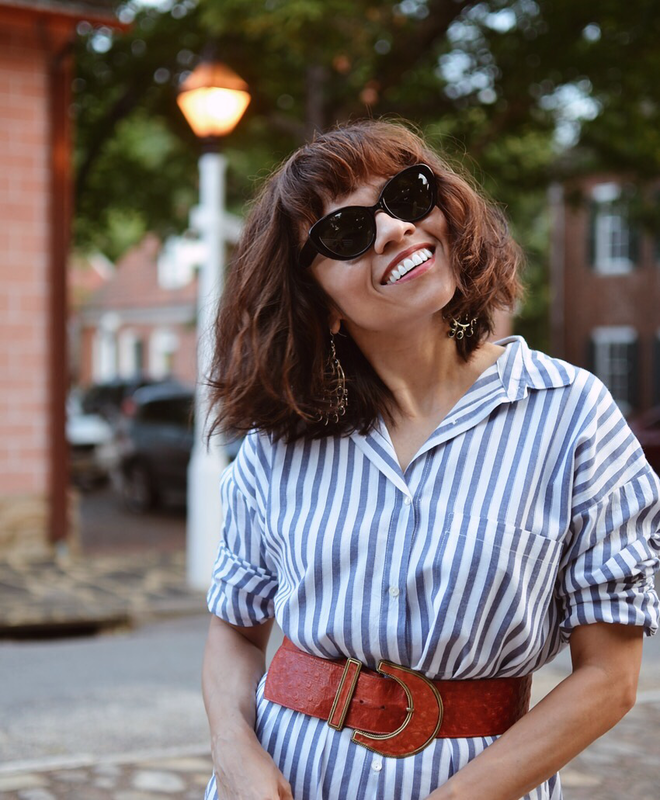 This Spring, I realized that I could use another shirtdress, but this time, maybe with a classic print. 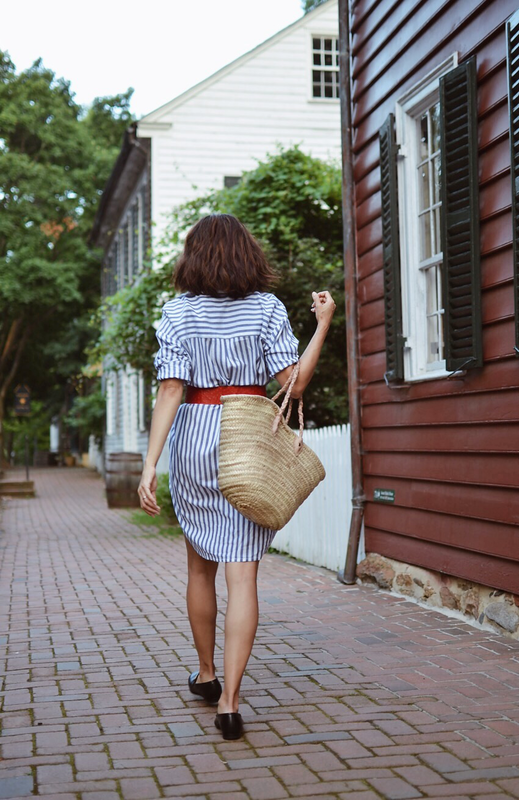 Well, you know my love for stripes, so I know it isn't a surprise for you to see me today sporting a brand new striped shirtdress. 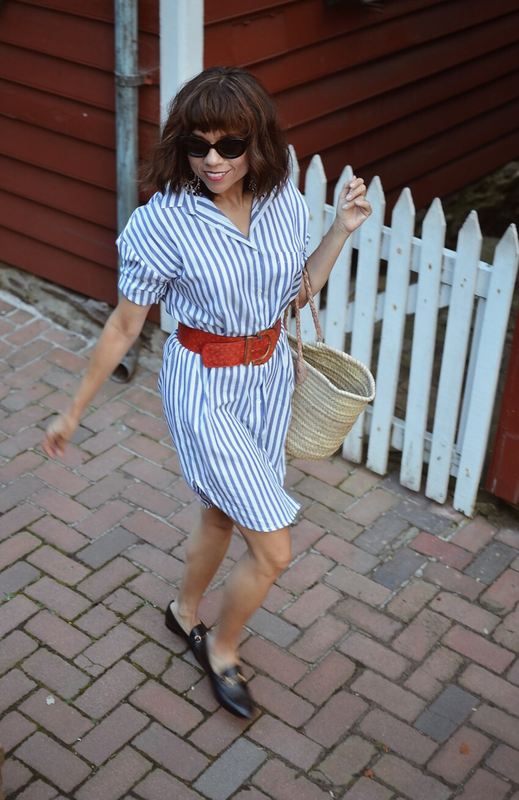 As you can see, I cinched it with one of my favorite vintage belts (love the pop of color) and paired it with my timeless loafers. 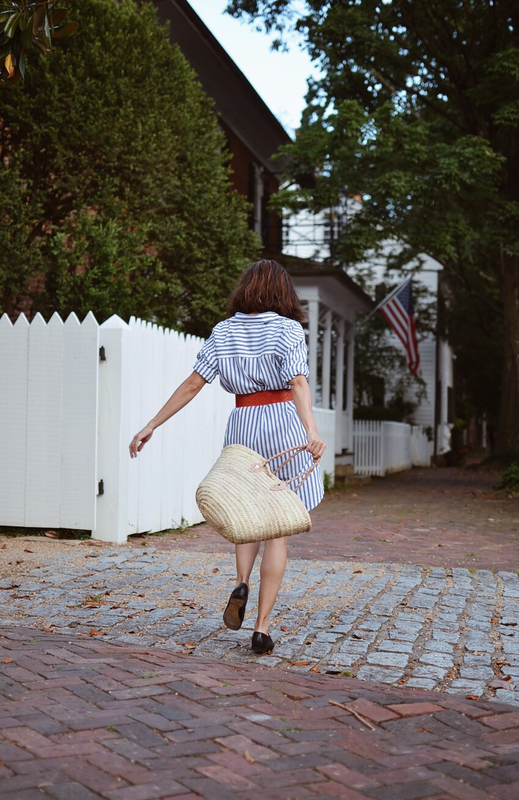 The straw bag came into play like the laid-back accessory that brought the perfect casual touch. And talking about laid-back, I'm loving my new haircut and color when it's wavy as well. This is my natural hair texture, so it was important for me that this haircut looked good with natural and sometimes frizzy waves. Dress: Velvet/Shoes: Gucci. Check out this Gucci-inspired style./Belt: Vintage. 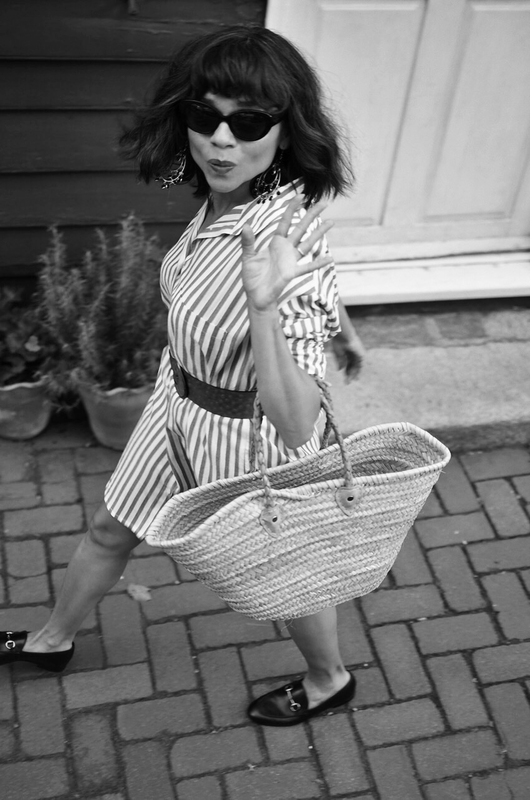 Similar/Sunglasses: Kate Spade. Similar/Earrings: Nordstrom. 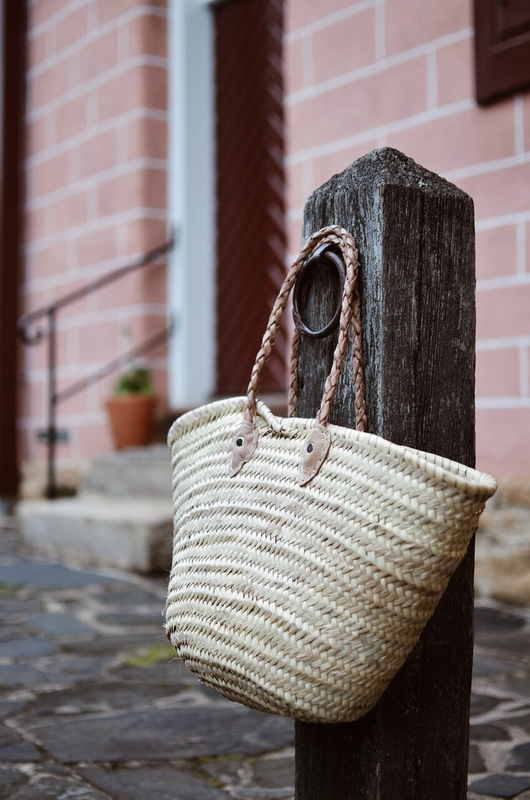 Similar/Bag: French Baskets. Similar.